This month, Dr. Gandhi shares her thoughts about Communication and Resolution Programs and the new CANDOR Toolkit from AHRQ..
NPSF has released a revised version of our online review course designed to help participants prepare for the exam to earn the Certified Professional in Patient Safety (CPPS) credential by reviewing the five domain content areas and test-taking strategies. This five-module, self-paced course allows you to learn at times most convenient for you. Learn more about the course. A few months ago, we asked and you gave us your valuable insight into our online discussion forum. NPSF found out that there were a few misconceptions about the forum itself which we are happy to debunk here. Most important, we want you to know that the forum exists, there’s no fee to participate, and we’re looking forward to seeing your posts. To post a question or to reply, you need to first register on the website. Learn more. The American Board of Medical Specialties (ABMS) and the National Patient Safety Foundation (NPSF) have issued a joint call for patient safety activities to enrich the ABMS MOC Directory. Read more about this collaborative effort aimed at increasing diplomates’ access to practice-relevant patient safety activities. 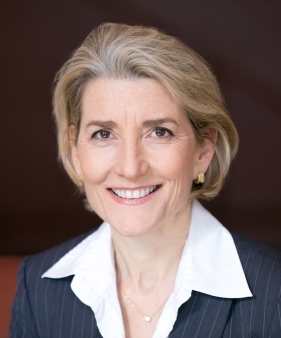 In this HH&N video taken during the NPSF Patient Safety Congress, Keynote Speaker, Amy Edmondson, PhD, Novartis Professor of Leadership and Management at Harvard Business School, explains why teaming is critically important for patient safety. If you couldn't make it to Scottsdale for our annual Patient Safety Congress, we’ve got you covered: Watch three of the Keynotes (including Prof. Edmondson's session) and earn continuing education credits at the same time. Learn more about the Keynote Speaker Series. See who published recently and take a look at members featured in our new Member Spotlight series. Read more. The Voice of the Patient feature returns to the P.S. Blog. Read this guest post by Betsy Cohen. Lorri Zipperer writes about creating awareness through solid patient safety research. See her post. The Certified Professional in Patient Safety (CPPS) certification program was featured on the Patient Safety Network (PSNet). Two perspectives were given about the value of certification—from a nurse’s and a pharmacist’s point of view. Gregg S. Meyer, MD, MSc, CPPS, outgoing chair of the National Patient Safety Foundation’s Board of Directors, was recently interviewed by Dr. Robert M. Wachter of AHRQ’s Patient Safety Network (PSNet). Read the full article. NPSF congratulates all who achieved the CPPS credential during the month of June 2016. Find out who they are. Interested in becoming a Certified Professional in Patient Safety? Join our informational webinar and we’ll tell you everything you always wanted to know about the CPPS credential and exam, plus members of our Expert Oversight Committee will answer your questions too. Learn more and sign up here. Learn more about attending or supporting this event. This live course is open to experienced patient safety professionals who plan to take the Certified Professional in Patient Safety (CPPS) examination. This program is approved for six (6) contact hours toward the fulfillment of the requirements of CPPS recertification. Read details or register. This article by Tom Scaletta, MD, CPPS, is in the May/June issue of PSQH magazine. Read it online. Driven by the fact that most patient safety tools rely on input from medical professionals, this study looks at how a patient questionnaire on safety could be used in a primary care setting. Here are the results of a study on how napping can reduce sleepiness while working and have an effect on drowsy driving after a night shift. Learn how debriefing can be used in simulations and after real-life events. Take a look at what the Centers for Disease Control and Prevention is doing to support applied research as part of a patient safety effort known as Prevention Epicenters Program. This report from the Agency for Healthcare Research and Quality Developing presents a prototype of a consumer reporting system for patient safety events. The American Board of Medical Specialties is inviting applicants to submit poster abstracts for a chance to be selected and featured at their conference in September. Find out which eight institutes were selected to participate in the Pursuing Excellence in Clinical Learning Environments initiative. The Choosing Wisely campaign and Consumer Reports have teamed up to provide consumers with fact sheets about treatment options. Read more. Did you know that Amazon will donate a percentage of your total dollars spent to support NPSF and the patient safety mission? Use this link when shopping, https://smile.amazon.com/ch/36-7166993. And thank you!